What medications are used for the treatment for narcolepsy with cataplexy? What medications are used for the treatment of narcolepsy with EDS? How many people have narcolepsy? Narcolepsy is a chronic disease of the central nervous system. Symptoms include excessive daytime sleepiness (EDS), sudden loss of muscle tone (cataplexy), distorted perceptions (hypnagogic hallucinations), inability to move or talk (sleep paralysis), disturbed nocturnal sleep, and automatic behavior. Narcolepsy usually begins in teenagers or young adults and affects both sexes equally. Abnormalities in the structure and function of a particular group of nerve cells in the brain called hypocretin neurons are thought to play a role in the development of narcolepsy. The diagnosis of narcolepsy is based on a clinical evaluation, specific questionnaires, sleep logs or diaries, and the results of sleep laboratory tests (polysomnography and multiple sleep latency test). Treatment options for narcolepsy include drug and behavioral modification therapies and disease-specific education of the patient and family members. The treatment is individualized, depending on the types and severity of the symptoms, the life conditions of the patients, and the specific goals of therapy. Optimal management usually takes weeks to months to achieve and requires continued communication among the physician, patient, family members, and others. Alerting medications are used for the treatment of excessive daytime sleepiness. Amphetamines and methylphenidate (Ritalin) are general CNS stimulants that decrease sleepiness and improve alertness. Modafinil (Provigil) and armondafinil (Nuvigil) have alerting effects similar to those of the traditional stimulants but has less undesirable side effects. Anticataplectic medications are used to treat cataplexy, hypnagogic hallucinations, and sleep paralysis. Tricyclic antidepressants (TCAs) are often effective in controlling cataplexy, but also frequently produce side effects that limit their use. Selective serotonin reuptake inhibitors (SSRIs) are also useful in the treatment of cataplexy and their side effects are milder. Sodium oxybate (Xyrem) is a medication with anticataplectic effects that also improves disturbed nocturnal sleep. Behavioral approaches to treating narcolepsy include establishing a structured sleep-wake cycle and planned naps, and involve diet, exercise, and occupational, marriage, and family counseling. Sleep paralysis is a feeling of being conscious but unable to move. It occurs when a person passes between stages of wakefulness and sleep. During these transitions, you may be unable to move or speak for a few seconds up to a few minutes. Some people may also feel pressure or a sense of choking. Sleep paralysis may accompany other sleep disorders such as narcolepsy. Narcolepsy is an overpowering need to sleep caused by a problem with the brain's ability to regulate sleep. inability to move or talk (sleep paralysis). Additional symptoms include disturbed nocturnal sleep and automatic behavior (patients carry out certain actions without conscious awareness). A 2014 study in the Journal of Sleep Medicine also reported that nightmares may be more prevalent in people with narcolepsy than in the general population. All the symptoms of narcolepsy may be present in various combinations and degrees of severity. Narcolepsy usually begins in teenagers or young adults and affects both sexes equally. The first symptom of narcolepsy to appear is excessive daytime sleepiness, which may remain unrecognized for a long time in that it develops gradually over time. The other symptoms can follow excessive daytime sleepiness by months or years. Cataplexy may appear before symptoms of narcolepsy. Disturbed nocturnal sleep with frequent awakenings and increased body movements may develop after the onset of the primary symptoms of narcolepsy. This additional symptom, along with excessive daytime sleepiness and the REM related abnormalities (cataplexy, hypnagogic hallucinations, and sleep paralysis), from the so-called "narcolepsy pentad" (a set of five symptoms). Automatic behavior may occur in 60% to 80% of patients with narcolepsy. Automatic behavior is when patients carry out certain actions without conscious awareness, often with the unusual use of words (irrelevant words, lapses in speech). This behavior occurs while the patient is fluctuating between sleep and wakefulness. Other complaints associated with narcolepsy may include eye disturbances due to sleepiness, such as blurred vision, double vision, and droopy eyelids. Cataplexy is a sudden, temporary loss of muscle control in a person with narcolepsy. An attack of cataplexy usually is triggered by strong emotional reactions such as laughter, excitement, surprise, or anger. Factors that contribute to the attacks of cataplexy include physical fatigue, stress, and sleepiness. Severe attacks of cataplexy may result in a complete physical collapse with a fall to the ground and risk of injury. Milder forms of cataplexy are more common. These involve regional muscle groups and result in symptoms such as a drooping head, sagging jaw, slurred speech, buckling of the knees, or weakness in the arms. This muscle weakness can be quite subtle. The patient is conscious but usually unable to speak. Cataplectic attacks may last from a few seconds to several minutes. They may vary from a few per year to numerous attacks per day that could disable the patient. Cataplexy is present in nearly 75% of patients with narcolepsy, according to the National Institutes of Health. The onset of cataplexy may coincide with the onset of excessive daytime sleepiness, but cataplexy often develops years later, so the absence of cataplexy should not rule out the diagnosis of narcolepsy. Other symptoms may seem unrelated, but may accompany cataplexy. A study in the American Academy of Sleep Medicine also found that nearly one-quarter of patients with narcolepsy/cataplexy reported binge eating at least twice a week. Hypnagogic hallucinations may be present in up to 50% of patients with narcolepsy. Hypnagogic hallucinations are dream-like experiences that occur during the transition from wakefulness to sleep, whereas hypnopompic hallucinations occur during the transition from sleep to wakefulness. These hallucinations may involve hearing, vision, touch, balance, or movement. They often incorporate images of the patient's environment into the dream-like images. The hallucinations are frequently vivid, bizarre, frightening, and disturbing for the patients. As a result, the patients may become fearful that they have or will develop a mental illness. The main symptom of narcolepsy, excessive daytime sleepiness (EDS), causes the patient to tend to fall asleep easily. This can happen in relaxed situations and also at inappropriate times and places. Patients may fall asleep while watching TV, reading a book, driving, attending a meeting, or engaging in a conversation. The daytime sleepiness is present even after normal nighttime sleep. Patients may describe this symptom as being tired, fatigued, sleepy, feeling lazy, or having low energy. Excessive daytime sleepiness is present throughout the day but the patient, with extreme effort, may be able to resist the sleepiness for some time. Finally, it becomes overwhelming and results in a sleep episode of varied duration (seconds to minutes). In addition to daytime sleepiness, repetitive, irresistible, and unintentional, sudden attacks of sleep may occur throughout the day. Excessive daytime sleepiness usually impairs a patient's functioning because it reduces motivation and vigilance, interferes with concentration and memory, and increases irritability. Sleep paralysis may be present in up to 50% of patients with narcolepsy. Sleep paralysis is a temporary inability to move or talk that occurs during sleep-to- wake or wake-to-sleep transitions. It may feel like muscle paralysis, but it is not the same thing. Episodes of sleep paralysis may last seconds to minutes. They can occur at the same time as hypnagogic (or hypnopompic) hallucinations. During sleep paralysis, breathing is maintained, although some patients may experience a frightening sensation of not being able to breathe. Experiments in dogs and mice with narcolepsy suggest an abnormal hypocretin system as a cause for the development of their narcolepsy. People with narcolepsy have been found to have a markedly decreased number of hypocretin nerve cells in the brain. They also have a decreased level of hypocretins in the cerebrospinal fluid (the fluid that surrounds the brain and the spinal cord). Narcolepsy is associated with a specific type of human leukocyte antigen (HLA). HLAs are genetically determined proteins on the surface of white blood cells. They are a part of the body's immune (defense) system. The finding of a very high HLA- association in narcolepsy led to the proposal that narcolepsy is an autoimmune disease, similar to other HLA-associated diseases such as multiple sclerosis and ankylosing spondylitis. The diagnosis of narcolepsy is based on a clinical evaluation, specific questionnaires, sleep logs or diaries, and the results of sleep laboratory tests. Clinical evaluation includes a detailed medical history and physical examination by a physician. Questionnaires may be used in the assessment of patients with symptoms that suggest narcolepsy. The Stanford Narcolepsy Questionnaire is an extensive questionnaire that can provide the physician with valuable information on all symptoms of narcolepsy, but especially on cataplexy. The Epworth Sleepiness Scale is a brief self-administered questionnaire that provides an estimate of the degree of daytime sleepiness. A person rates the likelihood of falling asleep during specific activities. Using the scale from 0 to 3 below, the person ranks their risk of dozing in the chart below. After ranking each category, the total score is calculated. The range is 0 to 24, with the higher the score the more sleepiness. Sleep logs or sleep diaries for 2 to 3 weeks are recommended in the evaluation of any patient with excessive daytime sleepiness. Sleep diaries record the patient's usual sleep patterns (sleep deprivation, irregular sleep/wake pattern, interrupted sleep), alcohol and/or drug use, and common behaviors that cause the patient to lose sleep (for example, Internet syndrome - surfing the Internet until late at night, causing sleep deprivation and daytime sleepiness.) This information may be helpful in the evaluation of a patient with excessive daytime sleepiness. Sleep laboratory tests ("sleep studies") for narcolepsy include polysomnography (PSG) and the multiple sleep latency test (MSLT). Polysomnography (PSG) is a full night recording of several different physiological factors of a patient's sleep. A PSG is necessary to insure good quality sleep to identify any untreated causes for daytime sleepiness such as obstructive sleep apnea (OSA). The PSG is followed the next day by the multiple sleep latency test (MSLT), which is a recording of the patient's tendency to fall asleep during the day. These procedures provide objective measures of daytime sleepiness and REM sleep abnormalities. Daytime sleepiness is measured in the MSLT by the sleep latency (SL) time. This is the time from the beginning of the recording to the onset of sleep. In healthy individuals, the SL time is more than 10 minutes, whereas in narcolepsy, it could be as short as 0.5 minutes (an almost immediate onset of sleep). REM sleep is named for the rapid eye movements (REM) that characterize this phase of sleep. In REM sleep dreams are vivid, muscle activity is suppressed, and brain activity is high. The REM sleep abnormality that is characteristic of narcolepsy is referred to as sleep onset REM periods. In healthy individuals, the first REM sleep period occurs about 80 to 120 minutes after the onset of sleep. By contrast, in narcolepsy, the initial REM sleep period usually occurs within 15 minutes of the onset of sleep. In addition, narcolepsy patients will have two or more sleep onset REM periods during the multiple sleep latency test (MSLT) in the daytime. PSG is also helpful in excluding other causes of daytime sleepiness, such as sleep apnea syndrome (SAS), periodic limb movements in sleep (PLMS), and sleep disruptions. In some cases, repeat tests may be recommended if there is worsening of the symptoms of narcolepsy despite treatment or if an additional sleep disorder is suspected (for example, sleep apnea syndrome). Maintenance of wakefulness test (MWT) may be used to evaluate the effects of the treatment for narcolepsy. This test is a recording that measures the ability of a subject to stay awake during the day. The diagnostic criteria for narcolepsy are described in the International Classification of Sleep Disorders. These criteria indicate that the diagnosis may be based on clinical symptoms alone if both excessive daytime sleepiness and cataplexy are present. If cataplexy is not present, however, the diagnosis should be based on the clinical symptoms and polysomnographic findings. The blood test for a type of HLA (Human Leukocyte Antigen) has been observed to have a very high association with narcolepsy. Certain types of HLA are part of an individual's genetic or hereditary makeup and can be characteristic of certain conditions, especially autoimmune diseases. The particular HLA type associated with narcolepsy is not unique for this condition as it is also found in 20% of the general population. Therefore, HLA typing is used for the diagnosis of narcolepsy. However, there is a strong association with certain genes in patients diagnosed with narcolepsy and cataplexy. Many patients are known to have a specific HLA gene variant called DQB1*0602. Scientists continue to work in this area to better understand the pathogenesis of narcolepsy. The treatment of narcolepsy includes drug and behavioral therapies. Treatment options are individualized depending on the severity of the symptoms, life conditions (for example, type of work or responsibilities) of the patients, and the specific goals (for example, relief of certain symptoms) of therapy. Management of symptoms takes weeks to months to achieve and requires continued communication among the doctor, patient, family members, and others. Good treatment management typically produces significant improvement of the symptoms rather than a resolution of all symptoms. The types, number, and severity of the symptoms determine which drugs are used to treat the narcolepsy. Anticataplectic medication is the general name for drugs that are used to treat cataplexy. These drugs may also be used for the other REM related symptoms, such as hypnagogic hallucinations and sleep paralysis. Tricyclic antidepressants (TCAs), used in lower than antidepressant doses, are often effective in controlling cataplexy. These medications act on neurotransmitter systems to produce suppression of REM sleep and consequently improve the symptoms of cataplexy. In some cases, the side effects may limit the use of TCAs, although in most cases the side effects are temporary. The most frequent side effects are called "anticholinergic side effects," including dry mouth, dry eyes, blurred vision, urine retention, constipation, impotence, increased appetite, drowsiness, nervousness, confusion, restlessness, and headache. 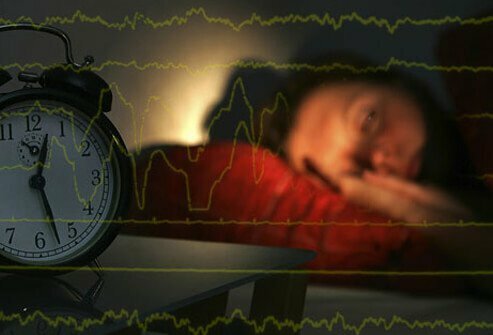 Some of the TCAs may increase periodic limb movements in sleep, which could further disrupt already disturbed nighttime sleep in narcoleptic patients. If TCAs are abruptly discontinued, a significant worsening of the cataplexy and other REM related symptoms could occur. This "rebound phenomenon" may appear in 72 hours after discontinuation of the medication and peak in approximately 10 days from the withdrawal. The most frequently used TCAs for the treatment of cataplexy and other REM related symptoms are protriptyline (Vivactil), imipramine (Tofranil), clomipramine (Anafranil), desipramine (Norpramine), and amitriptyline (Elavil). Sedating TCAs such as clomipramine, amitriptyline, and imipramine, are usually prescribed for evening use, whereas the alerting ones (protriptyline and desipramine) are recommended for use during the day. Selective serotonin reuptake inhibitors (SSRIs) also are useful in treating cataplexy at doses that are comparable to those used to treat depression. The most frequently used SSRIs for treatment of cataplexy and REM related symptoms are fluoxetine (Prozac), paroxetine (Paxil), sertraline (Zoloft), citalopram (Celexa), and venlafaxine (Effexor). The SSRIs may not be as effective as the TCAs, but they have fewer side effects. The most frequently reported side effects are dizziness, lightheadedness, nausea, and mild tremor. Rarely, mild constipation or diarrhea may occur. Fluoxetine (Prozac) given late in the day may cause insomnia. Sodium oxybate (Xyrem), also known as gamma-hydroxybutyrate or GHB, is approved by the FDA to treat cataplexy and excessive daytime sleepiness (EDS). This drug is usually administered in two doses; the first is given at bedtime and the second four hours later. It unifies sleep and improves the disturbed nighttime sleep characteristic of narcolepsy. This nighttime benefit may help decrease daytime drowsiness and cataplexy. Sodium oxybate is unrelated to drugs that are known to be sleep-inducing (hypnotic) and is not used for insomnia. It can cause drowsiness and should only be taken at night. Alerting medications are used for the treatment of excessive daytime sleepiness. Amphetamines (for example, dextroamphetamine [Dexedrine], methamphetamine hydrochloride [Desoxyn], amphetamine and dextroamphetamine [Adderall]) and methylphenidate (Ritalin) are generalized central nervous system stimulants. These medications are used in narcolepsy to decrease sleepiness and improve alertness. However, they can also produce undesirable side effects including elevation of blood pressure, nervousness, irritability, and rarely, paranoid reactions. Alerting medications can also lead to drug dependency due to the feeling of euphoria they can cause. However, drug dependency has rarely been described in individuals with narcolepsy. Pemoline (Cylert) is used as an alerting medication but it is less effective than traditional stimulants. This drug has the potential risk of toxic side effects on the liver and liver blood tests need to be monitored frequently. Modafinil (Provigil) has alerting effects similar to those of the traditional stimulant. Modafinil is not a general CNS stimulant like amphetamines, but the precise way it works is unknown. This drug has a much lower risk for high blood pressure and mental side effects because it acts in a different way than classic stimulants. It does not have significant effects on the sympathetic nervous system and does not cause mood changes, euphoria, or dependence. Furthermore, modafinil does not become ineffective with prolonged use. Headache and nausea are the most commonly reported side effects, and they are usually mild and temporary. These side effects can be reduced by a slow increase from a low initial dose up to the desired dose. This medication does not affect cataplexy and other REM sleep symptoms. Modafinil is usually used in a single daily dose. Switching patients from amphetamines to modafinil may cause the reappearance of cataplexy in patients previously well controlled. Increasing the dose or adding an anti-cataplectic medication usually solves this problem. Armodafinil (Nuvigil) is an oral drug used to promote wakefulness. It is similar to modafinil (Provigil).Armodafinil promotes wakefulness by stimulating the brain; however, the exact mechanism of action of armodafinil is unknown. Armodafinil may work by increasing the amount of dopamine (a chemical neurotransmitter that nerves use to communicate with each other) in the brain by reducing the reuptake of dopamine into nerves. The most common side effect of ararmodafinil is headache. Other side effects including anxiety, dizziness, diarrhea, dry mouth, insomnia, nausea, fatigue, and rash may occur.The drug is recommended for single daily dosing, either in the morning, or one hour prior to a work shift. Monoamine oxidase inhibitors (MAOIs): A class of antidepressants called monoamine oxidase inhibitors (MAOIs) can also be used for treatment of excessive daytime sleepiness. This includes phenelzine (Nardil) and selegiline (Eldepryl). Selective serotonin reuptake inhibitors (SSRIs) are also useful in treating cataplexy at doses that are comparable to those used to treat depression. The most frequently used SSRIs for treatment of cataplexy and REM related symptoms are fluoxetine (Prozac), paroxetine (Paxil), sertraline (Zoloft), citalopram (Celexa), and venlafaxine (Effexor). The SSRIs may not be as effective as the TCAs, but they have fewer side effects. The most frequently reported side effects are dizziness, lightheadedness, nausea, and mild tremor. Rarely, mild constipation or diarrhea may occur. Fluoxetine (Prozac) given late in the day may cause insomnia. Behavioral approaches include establishing a regular, structured sleep-wake schedule. Planned naps of 15 to 30 minutes or longer may be beneficial in reducing daytime sleepiness. Certain dietary restrictions should be observed (for example, avoidance of large meals and alcohol). Regular exercise and exposure to bright light can improve alertness. Occupational, marriage, and family counseling may help improve the patient's quality of life. Special considerations may be needed for school schedules and working conditions. Occupations that require working in shifts, changing the work schedule, or driving should be avoided. The dangers of driving while sleepy and/or experiencing cataplexy need to be addressed and the patients should be advised to avoid driving with these symptoms. However, many patients with narcolepsy are able to drive for short distances at certain times of the day and after taking their stimulant medications. Reporting requirements to the Department of Motor Vehicles (DMV) differ from state to state. Some states require that individuals who have any lapses of consciousness or sleepiness be reported to the DMV. Narcolepsy is a life-long disease. The symptoms may vary in severity during the patient's lifespan, but they never disappear completely. Symptoms usually gradually worsen over time, and then tend to become stable. Even then, the excessive daytime sleepiness may become more pronounced and require additional medication. At other times, cataplexy or the other symptoms may decrease or even disappear for a time. Different factors contribute to changes in a patient's symptoms, including an irregular sleep/wake schedule, the use of substances or drugs that affect the central nervous system, infections of the brain, and the development of additional sleep disorders, such as sleep apnea syndrome (SAS), periodic limb movements in sleep syndrome (PLMS), or others. Regular doctor check-ups and adherence to the drug plan and behavioral treatment may diminish these fluctuations and improve the patient's symptoms and quality of life. A primary care physician, usually in collaboration with a sleep medicine specialist, can recognize the symptoms of narcolepsy, initiate the proper evaluation, and manage the treatment that is recommended by the specialist. The prevalence of narcolepsy is similar to that of Parkinson's disease and multiple sclerosis. In the United States, the National Institute of Neurological Disorders and Stroke estimates narcolepsy affects one in every 3,000 people. A primary care physician (such as a general practitioner, family practitioner, internal medicine specialist, and a pediatrician): This is usually the primary health care professional. Neurologist: This is a physician who treats disorders of the brain, spinal cord, and nerves. Sleep medicine specialist: This is often a neurologist or pulmonologist, but can be another qualified doctor. Psychiatrist: This is a physician who spcializes in the treatment of mental, emotional, and addition disorders. American Academy of Sleep Medicine. "New Study in the Journal SLEEP Finds a High Prevalence of Eating Disorders in Narcoleptics." March 2008. Narcolepsy Network. "Treatment." September 2015. National Sleep Foundation. "Narcolepsy and Sleep." September 2015. Pisko, J. et al. "Nightmares in narcolepsy: underinvestigated symptom?" 15.8 (2014): 967-972. What was the treatment for you narcolepsy? Share your experience with narcolepsy. If you've been diagnosed with narcolepsy, please discuss your experience with daytime sleepiness. Describe what a hypnagogic hallucination is like for you, a friend, or relative. Relate your observations of cataplexy (loss of muscle control) in a friend or relative. Chlamydia is the most common sexually transmitted disease in the U.S. Signs and symptoms of chlamydia, a bacterial infection, include vaginal discharge, abdominal pain, burning with urination, blood in the urine, and feelings of urinary urgency and frequency. Untreated chlamydia can cause pelvic inflammatory disease (PID), increased risk of ectopic pregnancy, and infertility. Chlamydia is diagnosed with a culture or by identification of the genetic material of the bacteria. Treatment of chlamydia consists of a course of antibiotics.